A gluten-free donut magically poufs up deliciousness in the oven thanks to a BabyCakes recipe  tweaked by the Ninja Baker. A simple blend of flours, a soupçon of leavening agents whisked in with bananas and vanilla bean will bring on a strong case of the happys. P.s. If a touch of anything banana bothers you, substitute applesauce. Stir in the coconut oil, bananas, vanilla bean paste and hot water. Combine well. Divide the batter amongst 12 wells of well-greased (with coconut oil) donut pans. Bake for 18 to 25 minutes in a 325-degree oven. 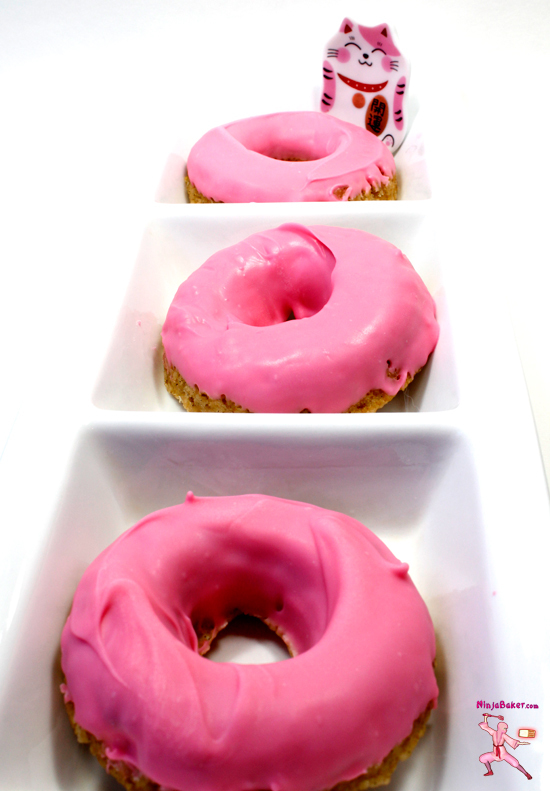 Dip cooled donuts into candy melts or melted chocolate. Or sprinkle with cinnamon and sugar or powdered sugar. Or just enjoy plain!